Reduced price! 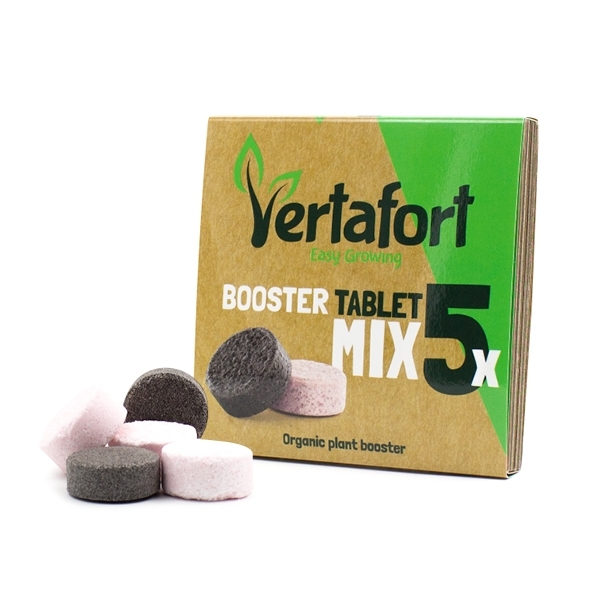 € 44.00 tax incl. 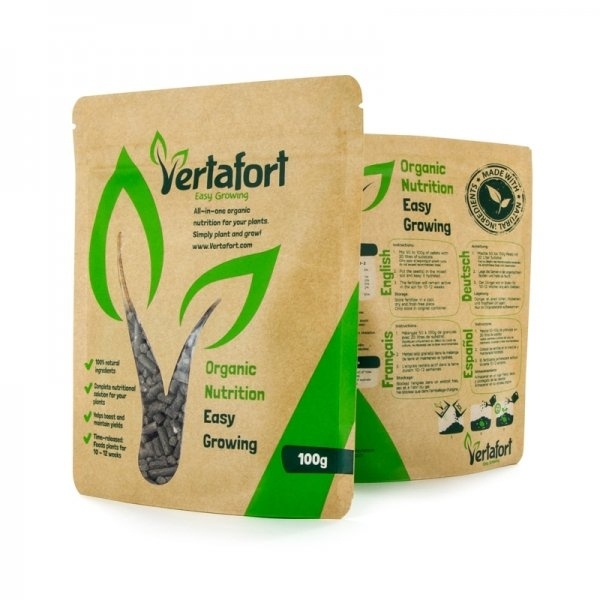 The Starter Pack With Everything You Need, Even Femninsed Seeds! Popular throughout coffee shops of the Netherlands since the 90's, Power Plant can produce astounding yields of up to 600-750g/m² . She is a powerful and intense feeling Sativa with favours of sweet and sour and subtle hints of pine. 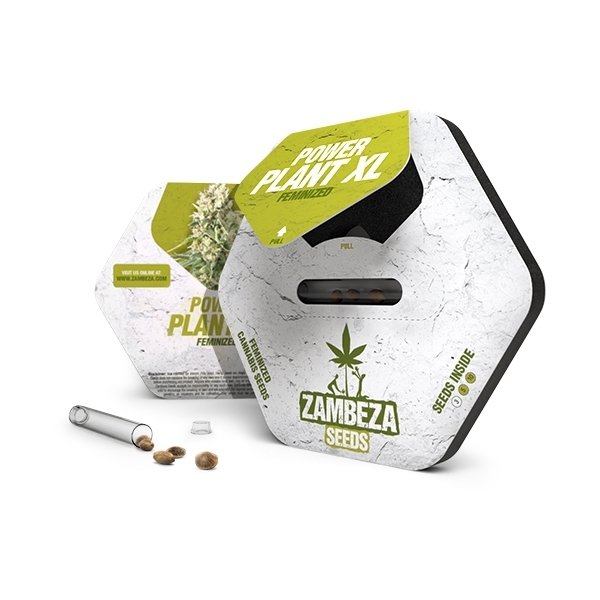 It is rumoured that this plant is grown in commercial operations across the globe, offering a clue of how efficient this Dutch "bud factory" is. 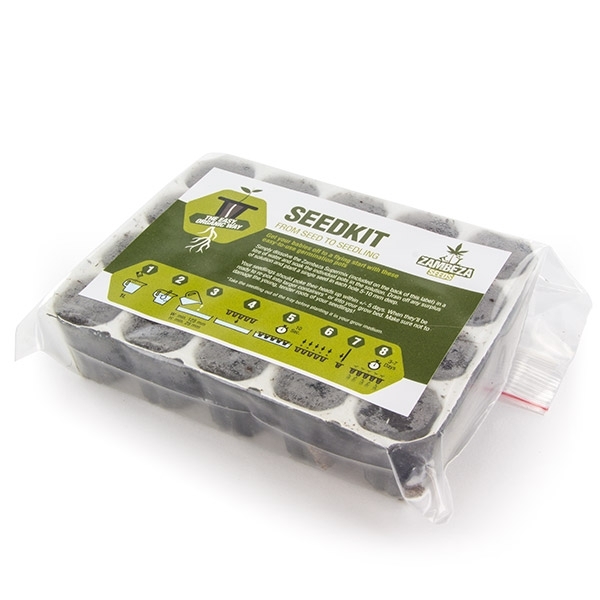 Simple and easy to use germination pots will get your grow going in no time! Dissolve the Zambeza Supermix in a litre of water and soak the individual pots with it. Drain off the excess and plant a seed in each hole 5-10mm deep. 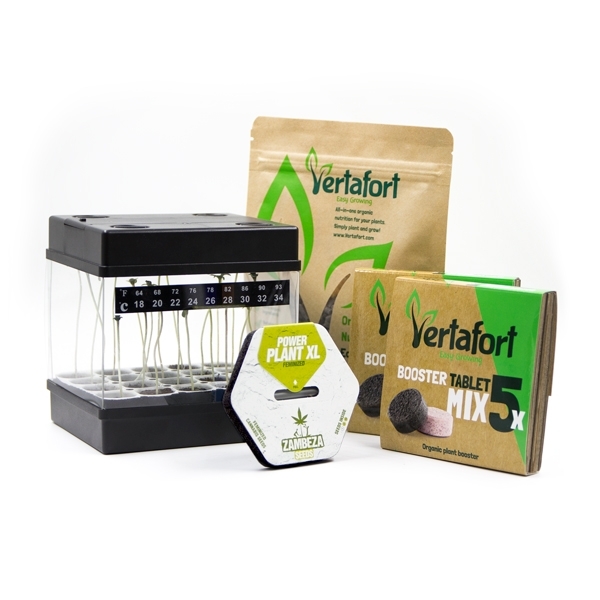 With a built-in LED light, perlite and a thermometer you can provide the optimum conditions for your germination. 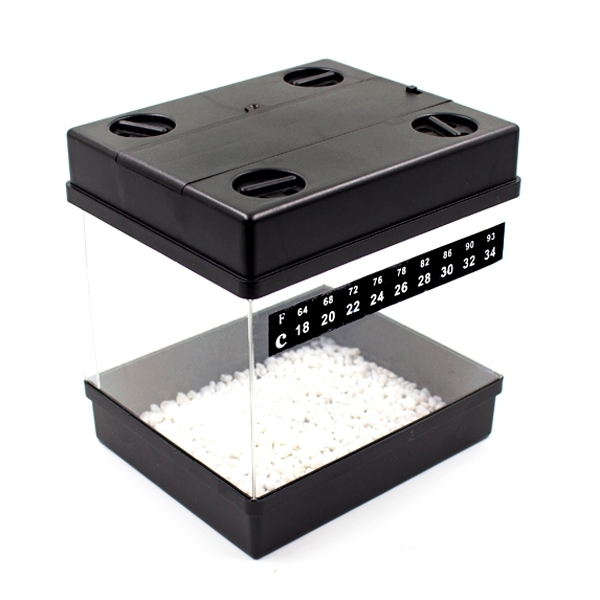 This propagator can do it all and it's perfect for firt-time growers or smaller operations since it can provide regulated and consistent conditions for your germination.